Whether your looking for a quick and simple hair style with tight curls, loose curls, or straight hair favowigs has created a collection of half wigs or also known as hair falls that give a solution to people. 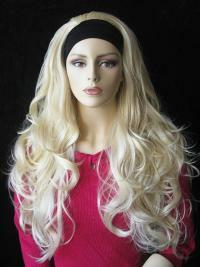 Half wigs are convenient to apply to your head and lighter to wear than wigs. You may blend it with your own hair and get the look you want. Hair Falls & Halfs are designed to give an incredibly stylish yet natural look while not giving up the coverage benefits of traditional wigs. urhair.co.uk offers many these products. Most of them are made of 100% Indian or Chinese hair which you may perm, dye, straighten, curl or style it at your own will.